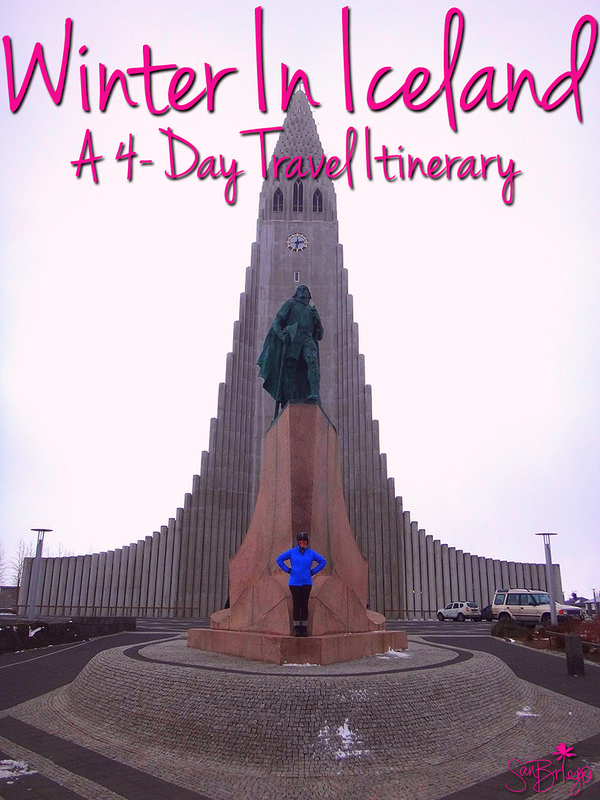 First, be sure to check out my packing list, SanBriego's Guide to Packing for Winter in Iceland, for everything you need before you embark on your winter adventure. This list is literally all Ryan and I brought with us for our 4-day stay. It fit into two backpacks and it was all we needed. 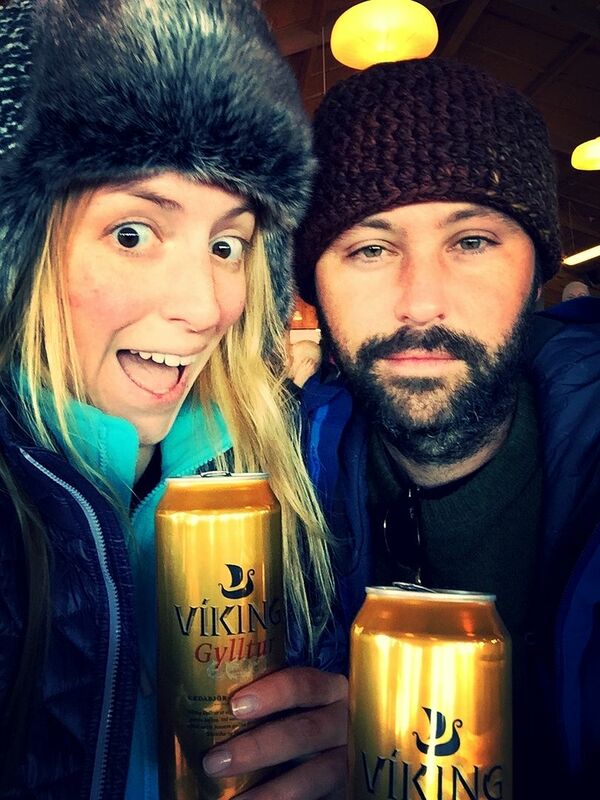 Next, contact my sponsor, Reykjavik Excursions, to see what they would recommend for your dates. 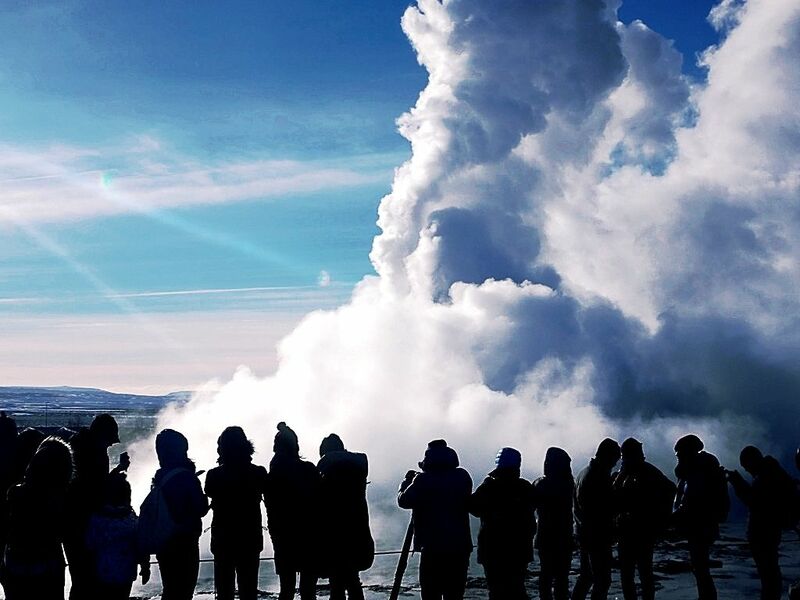 I did a lot of research before I decided to work with Reykjavik Excursions as my tourism partner for Iceland and consistently found that they had the best tours, the best connections, the best prices and the best reputation. Not to mention, they went out of their way to make sure we had an amazing time. 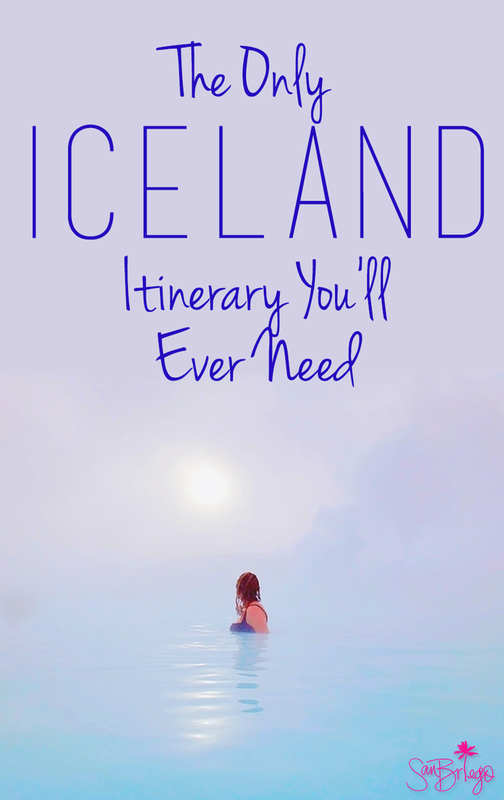 Finally, if you decide to go it alone without enlisting any tourism companies, check out some of the Icelandic blogs I link to in this post. They'll give you a local's version of what winter in Iceland normally looks like and can clue you in to some very unique experiences and recommendations. 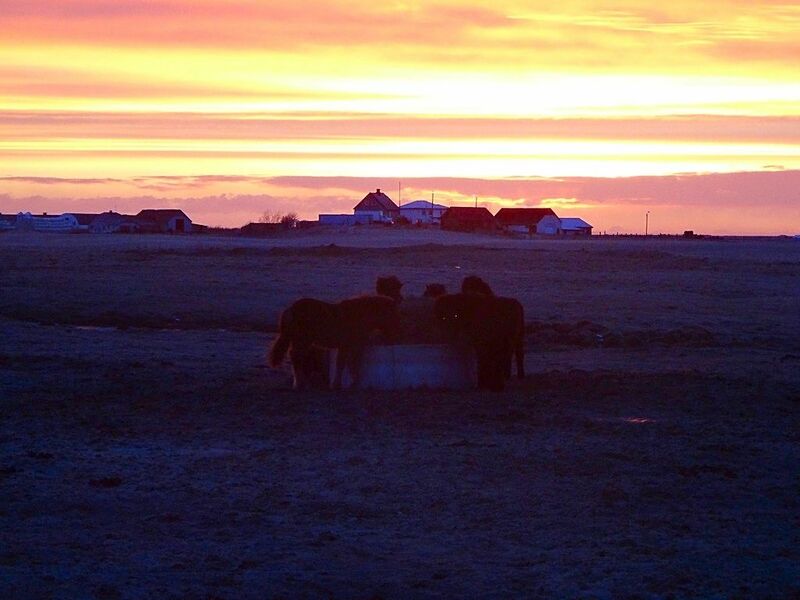 Chances are that you will arrive in Iceland either way before sunrise or long after sunset. My recommendation would be to book the morning flight... even though it means you could set yourself up for a battle with some pretty gnarly jet lag. 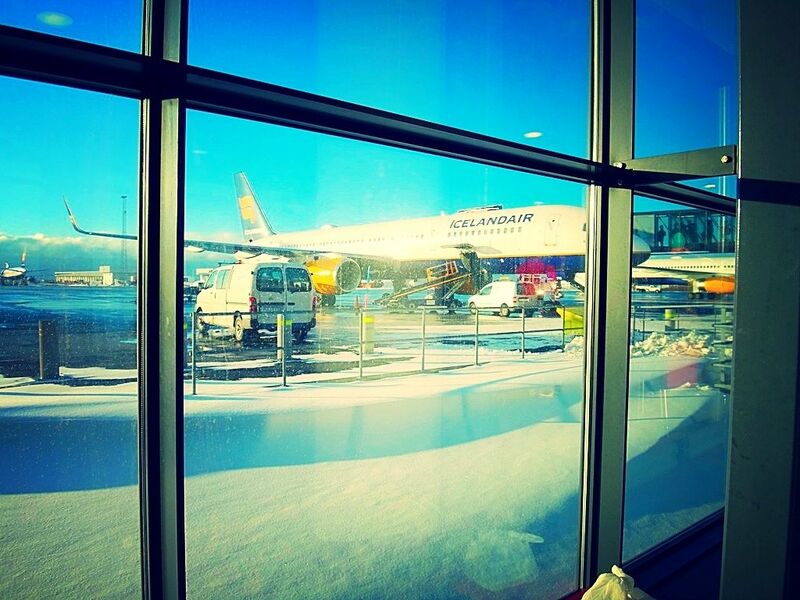 Our Icelandair flight arrived in Iceland around 6am. Iceland is 7 hours ahead of San Diego so by the time we landed at Keflavik, it was 11pm our time and we had been up for 16 hours already. Normally this is around bedtime for me. 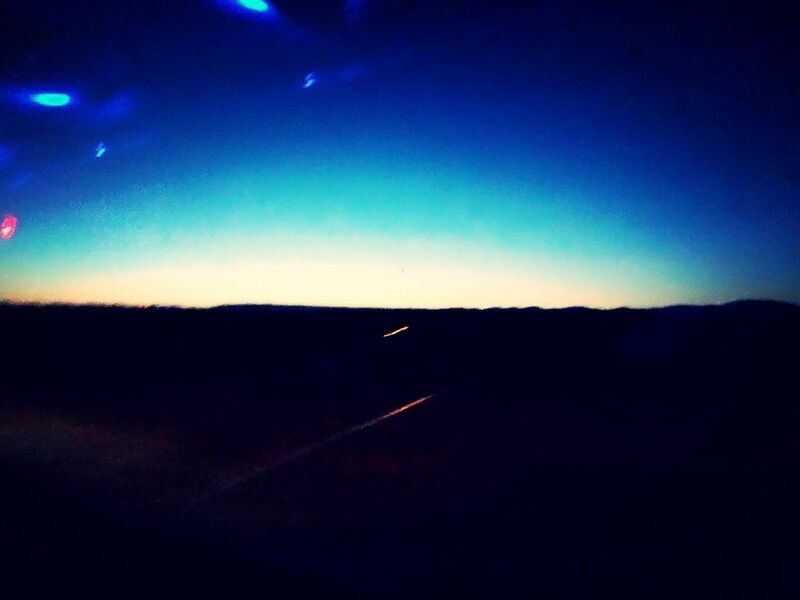 But it was a new day in Iceland and that gave me all the energy I needed! 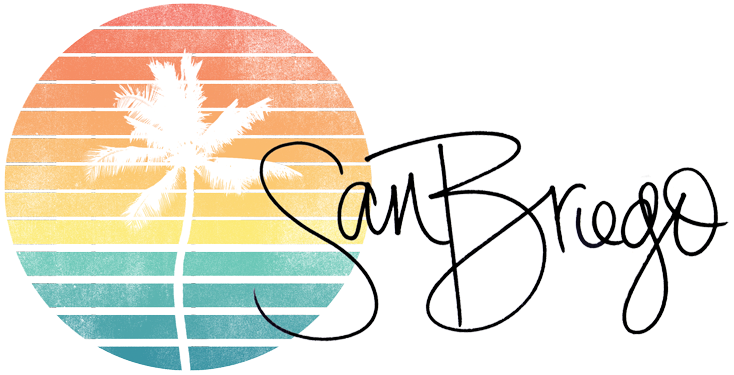 Landing this early means that your hotel room or AirBnB might not be ready, that you might be in a sleepless fog, and that you're already ticking off precious hours during your short stay... making this the perfect time to do a bus tour! If you're not renting a car, chances are you're taking the Flybus into town. 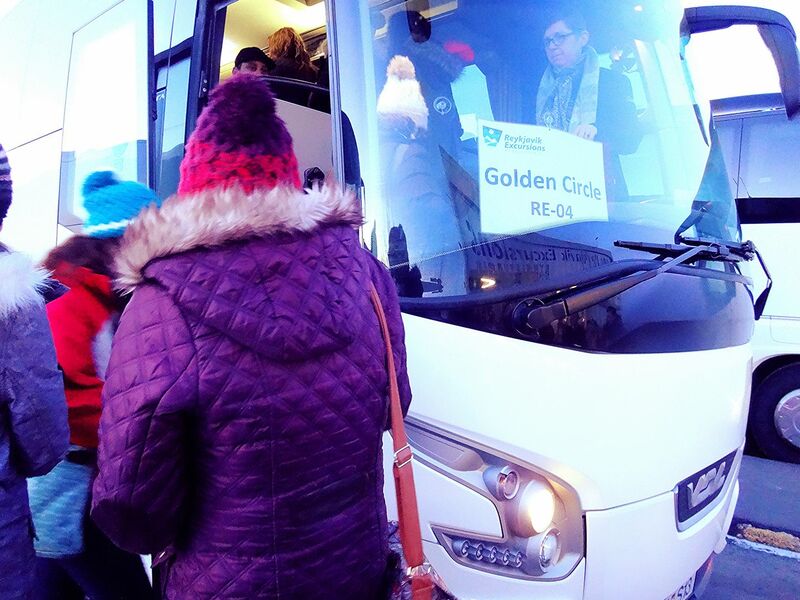 You can book your reservations on the Flybus beforehand and print out your vouchers at home. One great note about the Flybus is that it has free Wifi on board. My suggestion? Log in immediately and check on any tours you may have scheduled for the day... you want to make sure the weather hasn't affected your plans. The Flybus will bring you straight to the Reykjavik Excursions bus terminal first where you could take a smaller shuttle bus into the city streets of Reykjavik to get to your hotel. OR you could do what we did and hop on a bus tour of the Golden Circle, which is a must-do during your visit. Their Golden Circle tour, complete with a stop for lunch, leaves at 9am every day. I was very happy with the one that we did. Over the course of 8 hours, you get about an hour or so at each stop, plus plenty of time to hit up gift shops or to eat or have a quick beer at Geysir or Gulfoss. But beware! Checked bags or weather between the airport and bus terminal may slow you down this time of year. If you miss the 9am tour, there is a 10:30am express tour that gets you back around the same time at night. You can also add a side of either adventure or relaxation to your Golden Circle tour with the glacier snowmobile ride or the Fontana spa stop respectively. 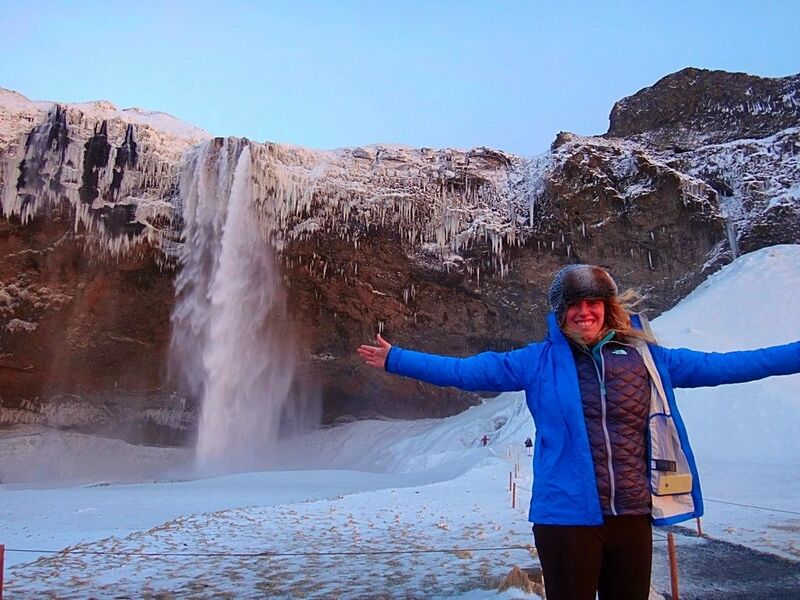 Both of these Golden Circle tours leave at 9am as well and are a great way to pack in an added taste of Iceland! Depending on which Golden Circle tour you choose, you'll get back between 5-7pm. It is probably time to check into your lodging for the night, grab a quick dinner at a fun local spot like The Lebowski Bar, and pass out. 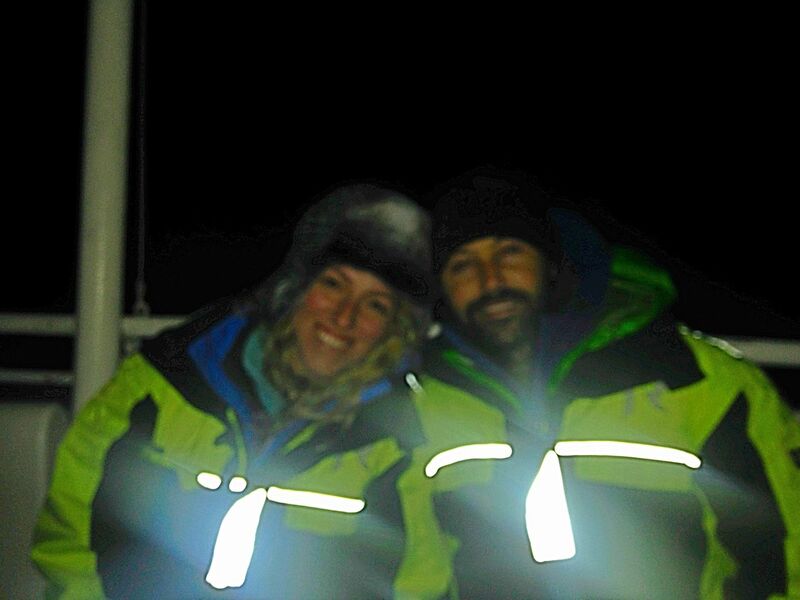 But if you can stay awake just a bit longer, I strongly suggest trying to get on your first Northern Lights tour. A great option is the Northern Lights Boat tour, which departs at 9pm each night from Reykjavik. A shuttle will pick you up between 8 and 8:30pm from your hotel in Reykjavik and drive you to the dock. 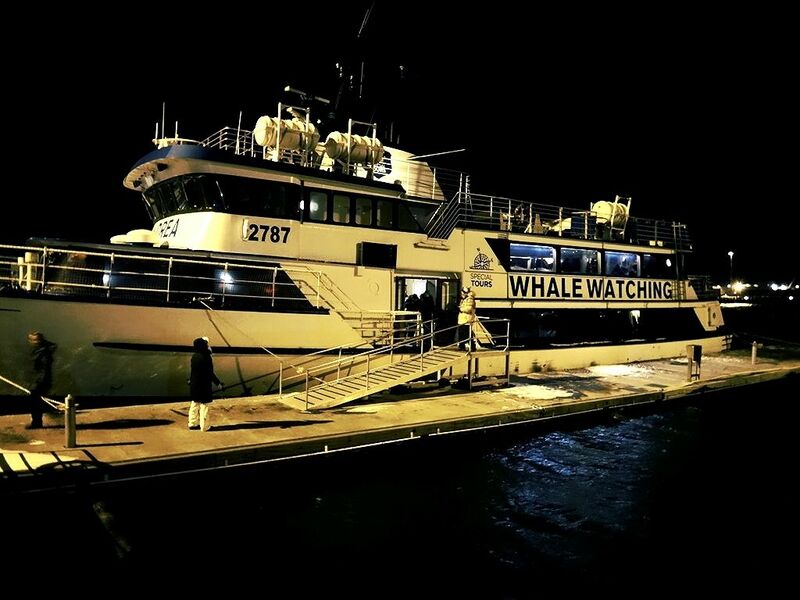 The boat has a bar and snacks on board and warm indoor seating. There are cozy thermal snowsuits provided for when you want to step outside and try to find the lights, but an announcement will also be made if there's a sighting. Another reason this is a great tour is because you can do it again for free the next night if you don't spot the lights or if the tour is cancelled due to cloud cover or bad weather. Any Icelandic local will tell you that my Day 2 itinerary is an insanely packed plan, especially in the middle of winter. And maybe it is, since it obviously didn't work out for us due to an unexpected blizzard. But if you are adventurous, caffeinated and the weather is safe, I still think this day trip is totally doable. First thing first: rent a car. When we were there we rented from Jon at Go Car Rental which I truly think is the best car rental experience I've ever had in any country. He met me in the city the night before to drop off our SUV since we were leaving so early on Day 2. He was super nice, has some of the best rates and cars in town, and I believe he still does no-minimum (one-day) rentals, which were tough to find. If the roads are clear, try to leave around 5 or 6am... that should give you enough time for brief photo ops at the two major waterfalls, Seljalandsfoss and Svartifoss, as well as a brief stop to see Vik's black sand beaches, and to arrive in Skaftafell for your 12pm ice cave tour. The waterfalls and beaches are not far departures from the Ring Road but they will add a bit of time to your trip. You do have to get out and hike a bit to Svartifoss, so maybe save that one until the way back after your tour. Overall, the drive straight from Reykjavik to Skaftafell in perfect conditions is about 4 hours, so padding yourself with an extra 2 hours for these and any weather along the way should give you enough time to meet the tour by the departure hour or cut the extra stops out altogether if you find yourself not making great time. The ice cave tour can take up to 5 hours, meaning that you will be driving for a bit in the dark on the way home. My thought was: if the tour ended at 5pm, we would get back to Reykjavik by 9pm or so, making for a long but thoroughly fulfilling day. Plus, there was the added possibility that we may see the Aurora on the drive home. Unfortunately, the night before our tour we received an email from ICEGUIDE telling us they were cancelling the tour due to inclement weather. Lesson #1: Check your email the night before your tour! 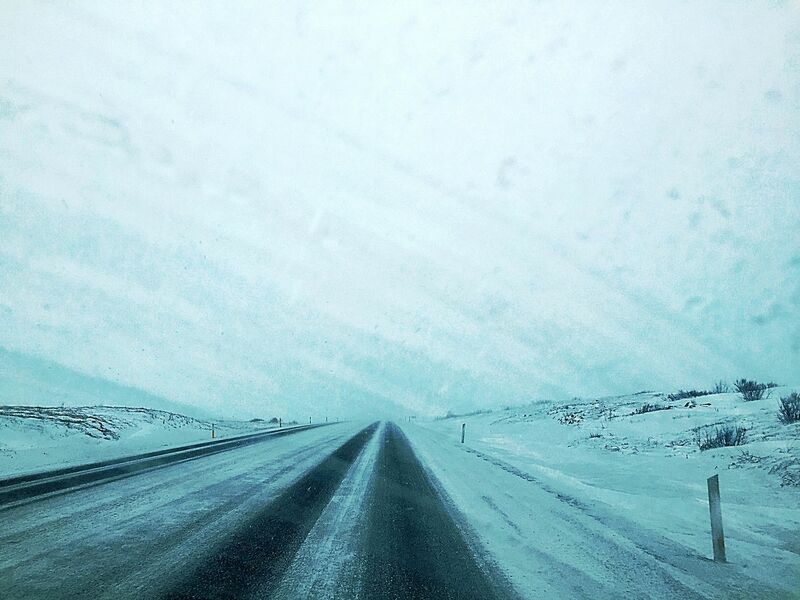 The weather in Reykjavik was totally different from the weather on the South Coast where the ice caves were located. Because ice cave tours in the winter book out months in advance, there was no way to hop on the tours for either of the next two days, making this one of the saddest missed opportunities of the trip. But at least we're not alone. 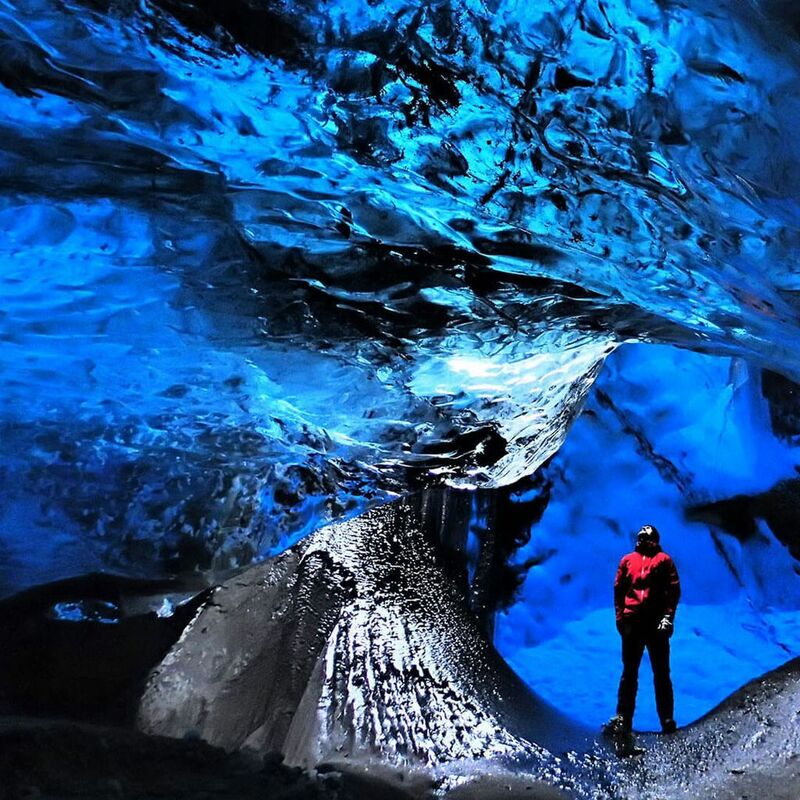 For another perspective on missing ice cave tours, check out I Heart Reykjavik's post on it. Not sure if you want to pack that much into a day, take on driving in Iceland yourself, or voluntarily walk into an ice cave? I'd suggest Reykjavik Excursion's bus tour version instead, the South Shore Adventure. 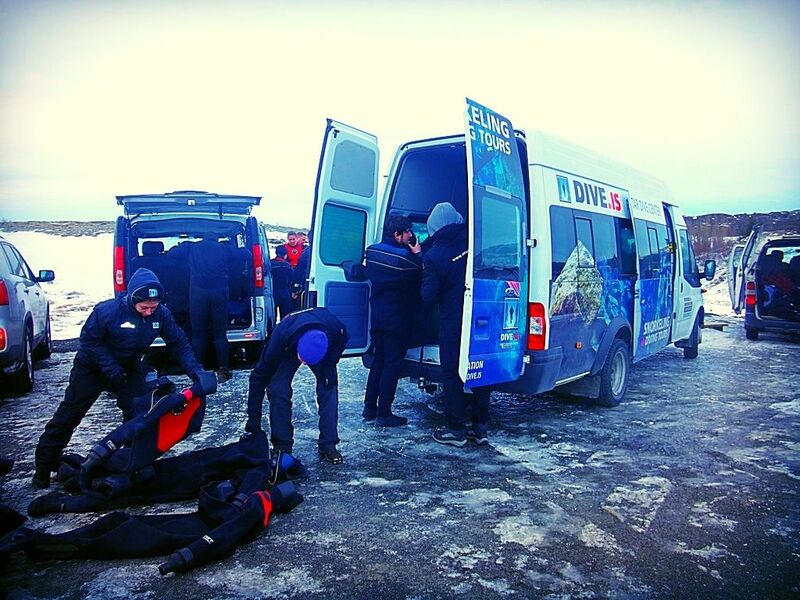 In the summer, you can combine snorkeling the Silfra Fissure with your Golden Circle tour, but in the winter there just simply isn't enough daylight to cram both in at once. So on Day 3, we woke up around 9am, picked up some Subway sandwiches for lunch, and waited for our Dive.IS shuttle to pick us up around 10am. Pro tip: If you're staying in an AirBnB, look for the nearest hotel before you go and arrange for all of your tours to pick you up from that hotel's lobby. Want to get an early start? There's also a 8am departure time year round. Snorkeling the frigid waters of the Silfra Fissure! Snorkeling the Silfra Fissure is such an amazing once in a lifetime experience that (if you can afford it and stand the cold) you really shouldn't pass up! 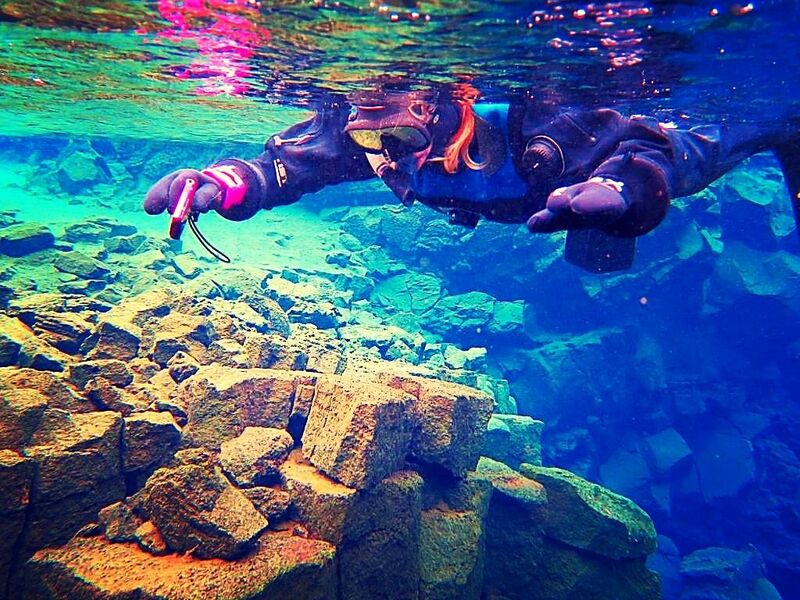 The Silfra Fissure is the body of water between America and Europe's tectonic plates, making it the only place in the world where you can snorkel right in between two continents. It also happens to have some of the clearest, purest water in the world... so clean you can take your snorkel mask off and drink some as you float! The tour ends with everyone back in the shuttle sharing hot cocoa and cookies. If you take the 10am tour, you should get back to Reykjavik no later than 3pm. Which means you have a about 3 hours of sunlight left to wander around Reykajavik and check out sights like the Sun Voyager, the view from the Hallgrímskirkja church, or the Harpa music hall. 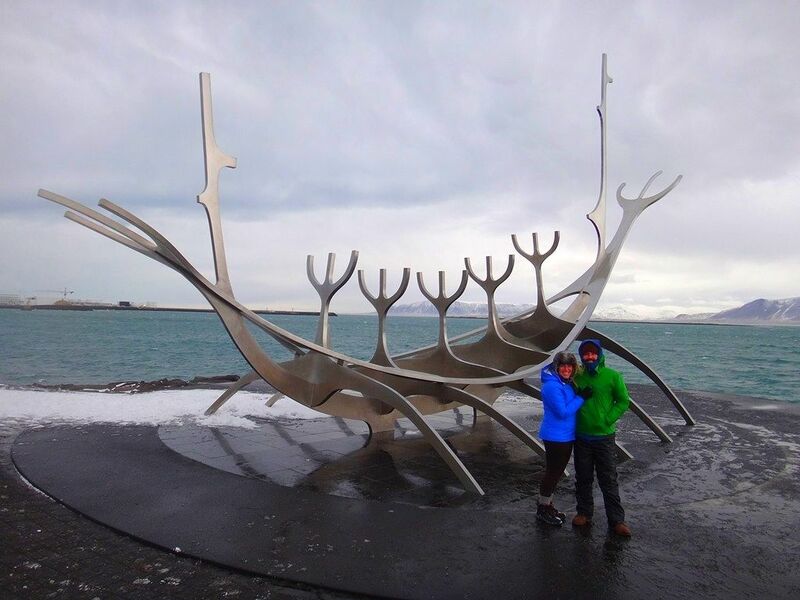 If however, snorkeling Silfra is not your thing, take this day to do one of the most highly recommended walking tours in Reykjavik with I Heart Reykjavik. These leave at 10am daily, book up in advance, and last about 2 hours. 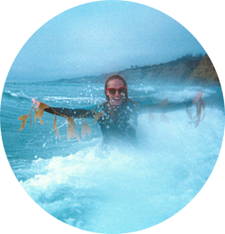 You could also hold on to your rental car and try to track down some of the waterfalls that current Iceland resident and American ex-pat Kiki, of UnlockingKiki.com, has found. Or try a different adventure like a volcano and glacier hike, ice climbing, or riding some Icelandic horses through lava fields, all of which I would love to try during my next visit! At night, hit up your next Northern Lights tour for your last chance at spotting the elusive Aurora. Sadly, we never saw the northern lights during our stay in February due to cloud cover, but I still haven't given up on seeing them somehow before my 30th birthday! Save the Blue Lagoon for the last day on your way back to the airport. 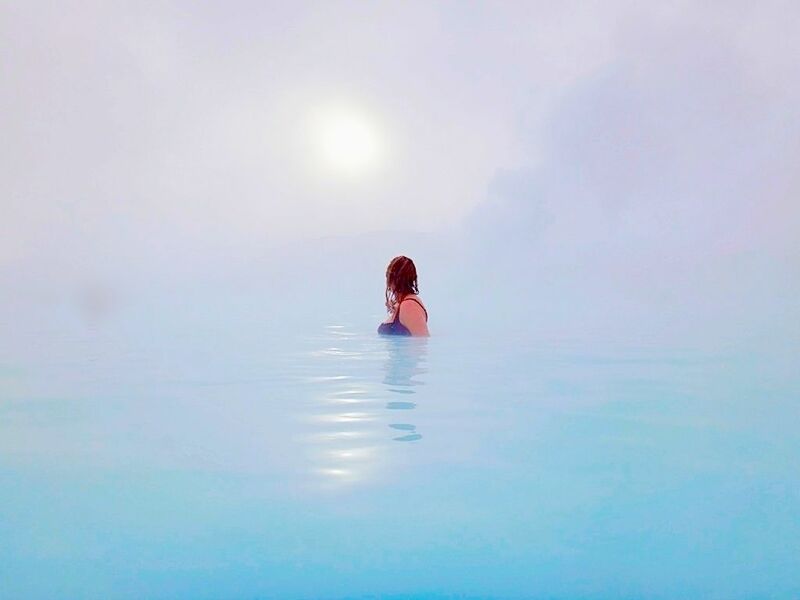 So purchase a Flybus plus Blue Lagoon return ticket to the airport, make your reservations for The Blue Lagoon online before you go, and soak up the relaxing geothermal waters before dealing with the insanity of the airport! If you leave yourself enough time, once you get to Keflavik you can take care of a few final items. First, before you head through security, take a moment to collect all of your receipts and submit a form for your VAT refund. Next, if you haven't tried Skyr (Iceland's yogurt) yet, now is the time... there's plenty of options in the food court. Personally, I wasn't a fan, but I'm apparently pretty alone on this one. Last but not least, don't forget to grab a souvenir if you haven't already! Following this itinerary won't allow you to try everything Iceland has to offer, but it will definitely help you to make the most out of four days. So book your flight, bundle up and be prepared for the winter adventure of a lifetime. Disclaimer: While I did do the research and chose to partner with Reykjavik Excursions for our trip to Iceland, they were generous enough to provide free experiences to me in exchange for promotion on this blog. You will see throughout my Iceland coverage that I am very honest about every aspect of their tours and truly... they were amazing. Which is why I feel very comfortable and confident recommending their tours to any of my readers for the best time in Iceland! What did you do with your luggage when you first arrived in Iceland. Did the bus station where you got onto the Golden Circle tour have lockers? We are arriving before check in time and want to go on the tour but don't know what to do with our luggage. Thank you. Hey Amanda! We only had two backpacks with us so we just took them on the Golden Circle tour. However I believe the tour buses have an underground to store luggage on the bus with you and I imagine there are lockers at the RE terminal as well! What time did you go? I'm thinking about going at 8am but scared it will be too dark. If the Ice Cave tour is cancelled due to weather, is it refundable? ViralD, yes, they refunded us in 2014 anyway.